My New Website is Open! Happy summer, friends! 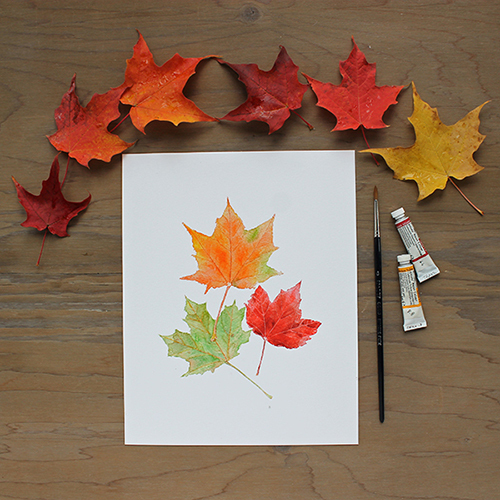 (And happy autumn to those on the opposite side of the seasons!) 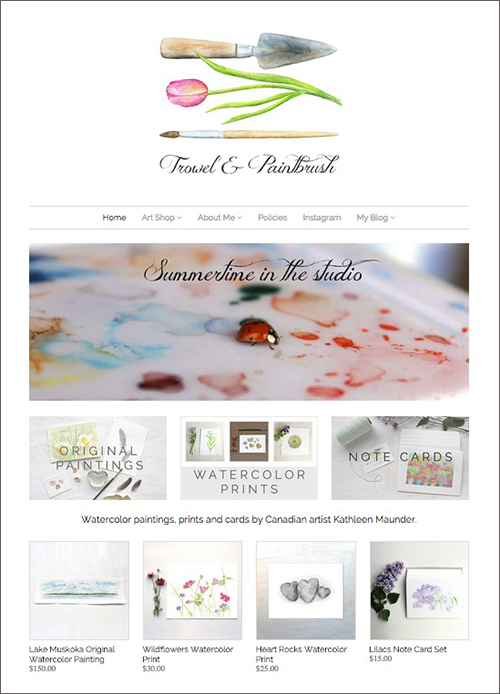 In tandem with this lovely season's beginning, I am excited to announce that my completely revamped art shop/website is open! I hope that you visit and look around. It took me three weeks to get it ready and I hope it conveys a sense of me, my art, my heart and my appreciation for all those who support my 'métier'. If there is something on the website that could be better (whether big or small), I would appreciate you telling me. I value your opinion. 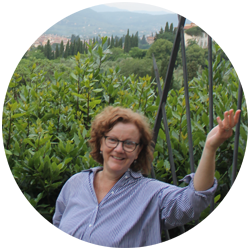 Thank you to all those behind the scenes I asked for advice and who gave me encouragement while I was building my website. I ♡ you. 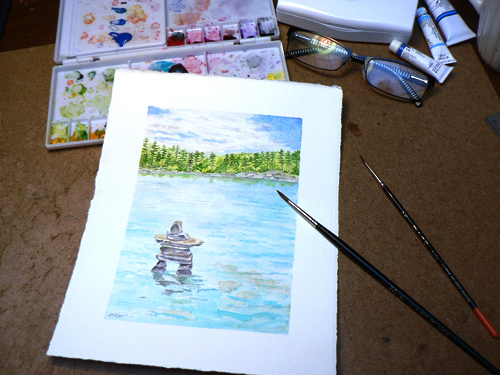 And, of course, I will be adding more art to my shop on an ongoing basis. 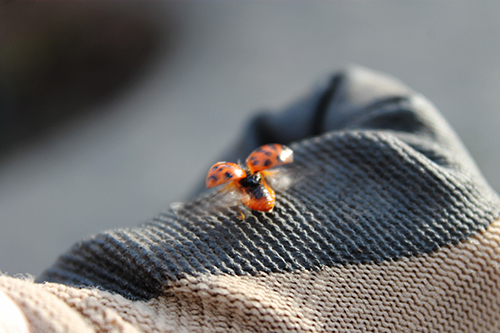 I feel a bit like this ladybug right now--about to spread my wings and take flight. I have been working very hard the past week on my own website. I opened a shop on Big Cartel in January. It was nice but it felt limited. I decided recently to move to Shopify. I have been able build a website there that is much more dynamic and beautiful and I can't wait to show it to you! I am feeling positively nerdy with my newfound HTML skills. The internet is wonderful. You get stuck and a google search can help you out. Stubbornness helps. Curiosity is a motivator. For particularly puzzling problems, I turned to my two savvy daughters and a talented friend. Figuring out how to make HTML work for you is the closest thing I can think of to reading a mystery novel. The answer is there somewhere. You just have to find it. 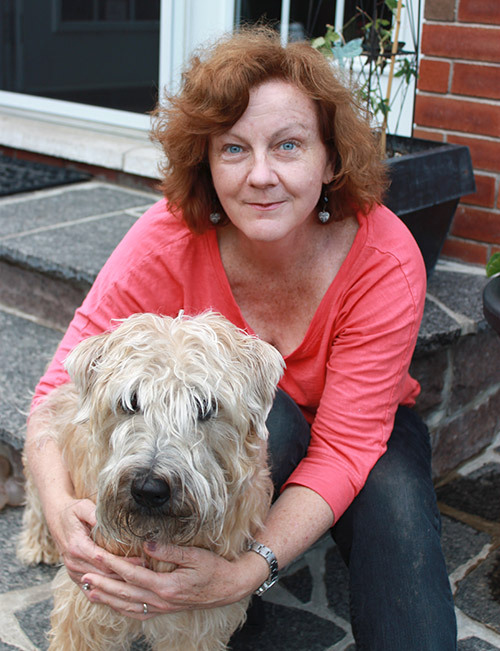 For now, the shop links to the right will take you to a page letting you know that my website is under construction. I will post here and on Instagram and Facebook when I open it up. It will be sometime in the next few days. I have been freshening my products listings for my new website so have been going through my very disorganized photo files this weekend (on my hard drive, memory cards and external drives). 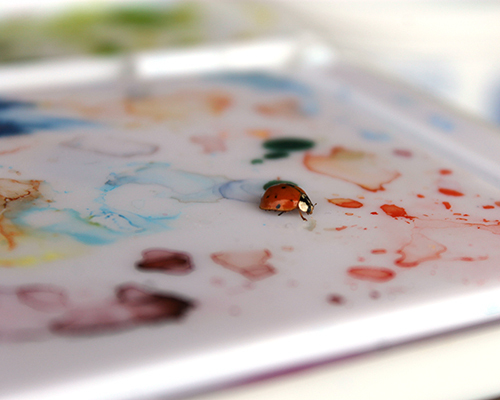 I found this fabulous photo today of a ladybug on my paint palette. 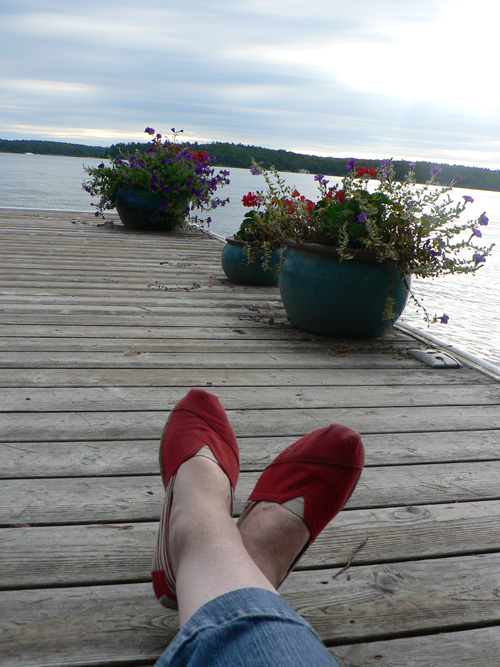 It was taken two summers ago when I was painting outside at my parents' house in Muskoka. 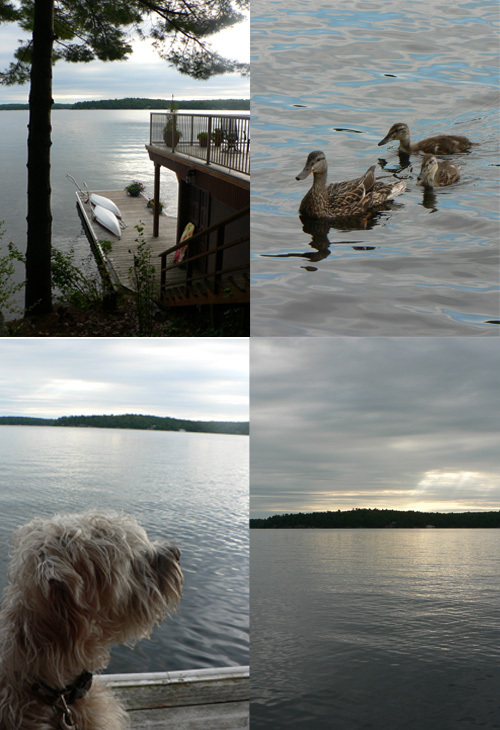 My mom and dad are in the process of moving from their year-round lakeside residence of almost twenty years (and the family cottage of about 35 years) to a new home in town. Lots of changes. 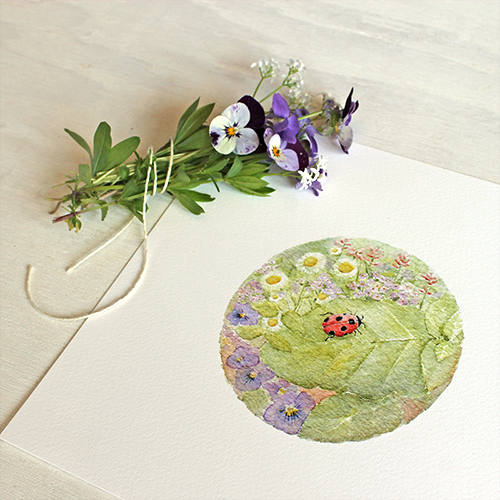 A couple of weeks ago, I took some new photos of my ladybug print. 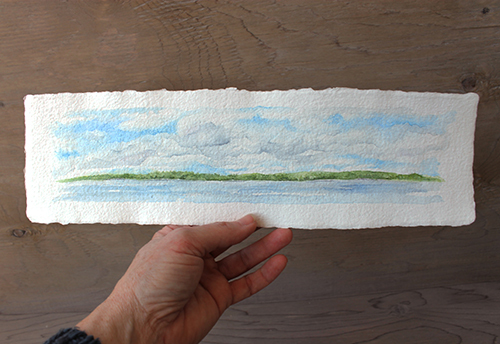 I did the original painting over 20 years ago and it is still one of my favourite watercolours. I have held on to the original. The print looks so much like it! This gardening season, I have commited to redoing some of my product photography when the corresponding flowers are available in the garden. 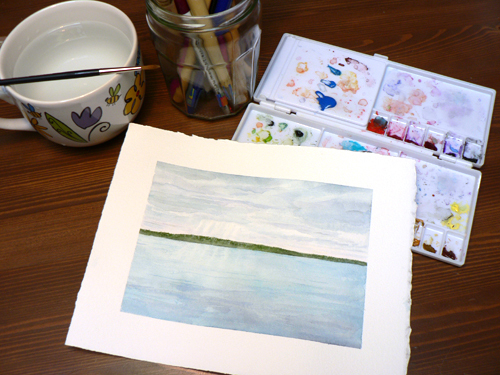 I love the combination of my paintings and prints with their real-life inspiration. 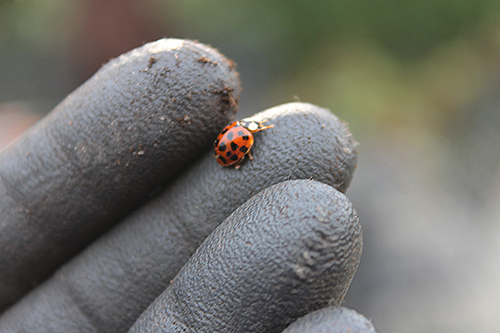 Ladybugs, gardening, HTML and change. What my June is made of.